The iPhone X has been with us for more than a month, is a device that, like everything that Apple does, generates a high degree of expectation . Having it in your hand is an incredible feeling, I speak as a lover of technology, it has an incredible design, a perfect screen (despite the notches), it's fast and it's nice to handle it. 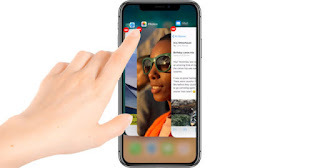 One of the characteristics for which the iPhone X is known is its facial recognition system Face ID, perhaps it is the spearhead of the device in question. There have been many criticisms of this system, which is not the first to be implemented , and many more or less successful attempts to deceive the biometric system. 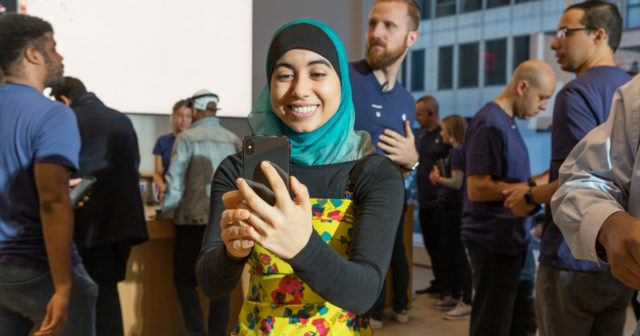 The advertising that Apple has launched regarding the iPhone X always has an impact on Face ID and how it is able to adapt to our face, our changes, whether or not we have glasses or beards. And we ask ourselves a question. The iPhone is able to adapt to the changes of our face, but are we able to adapt to its price increase? Do we pay the more than 1000 euros it costs? Do we do it at ease or do we have the feeling that they deceive us? Maybe not one thing or another. Apple always wants to be a distinguished brand, its products are not exactly economic, but they are synonymous with quality . On November 3, the iPhone X sold out in minutes and getting one took six weeks of delay. And if that is the case, it is because there is demand. And consider another thing, a Samsung Note 8 also costs more than 1000 euros. The "black paw" are expensive, a lot. Making an iPhone X costs Apple just over 300 euros . Develop it, the R & D, advertising campaigns, stores, SAT, it takes a very important peak. And Apple will never lose money while there are, there are, consumers willing to have the latter. And what everyone does with their savings is strictly theirs.